Beer BBQ & Bingo! Every Tuesday night great swag to win & beer specials too at Moe’s Original BBQ. Starring Gene Murrell, Matt Sajak & Clint. This week (4/02) the fun is at Moe’s in Mobile. 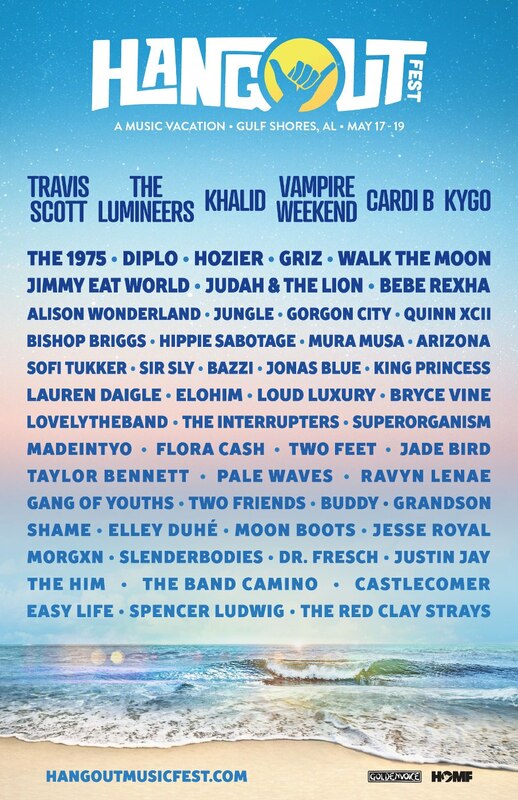 It’s the 10th Annual Hangout Music Festival on the beautiful beaches of Gulf Shores, featuring Hozier, The Lumineers, Vampire Weekend, Cardi B, Walk the Moon, Jimmy Eat World, and more. Keep it here on the ZEW the official Hangout station, for updates, interviews, backstage performances and more. 92ZEW & Soul Kitchen present Lord Huron in concert, Friday, May 3, 2019.